Advertisers started moving more of their ad budgets to social media from traditional online publishers in the Summer of 2009. Channel checks indicate this trend is accelerating thus far in 2010, albeit off of a small base. Particularly notable are our findings that spending by major brands is accelerating on virtual-goods offers being marketed to social game players. 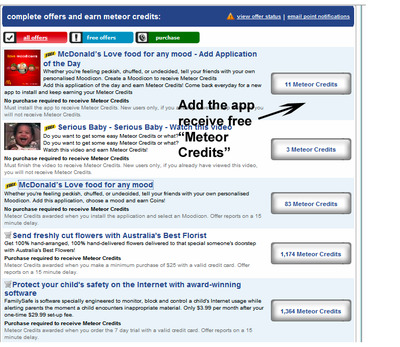 These offers involve advertisers paying the game publisher, which then passes the virtual goods currency onto the player for free. Brands are providing gamers with free virtual goods currency if they become friends of their fan pages. Gamers are being rewarded with virtual goods currency for viewing video advertisements within games. This is only accelerating a trend where major brands are starting to steer more dollars toward social media at the expense of typical online publishers. Our checks indicate this share shift should only continue, putting more pressure on display CPMs as advertisers seek better ways to interact with and engage with consumers. 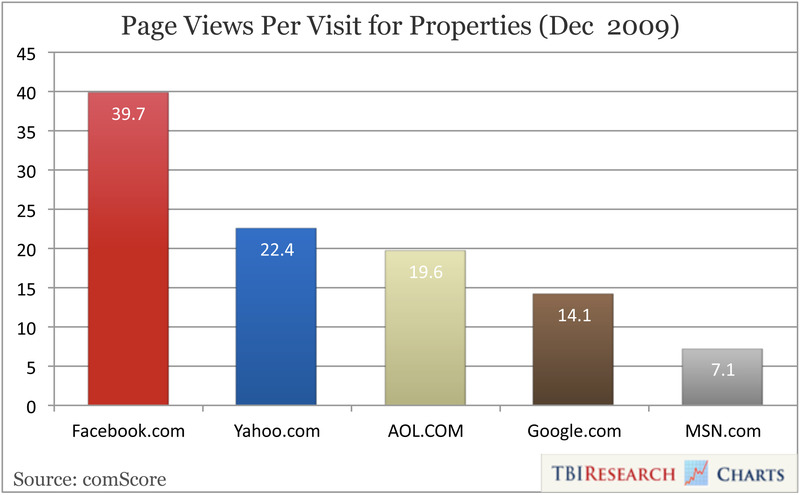 In particular, large portals with significant exposure to display like AOL, Yahoo and MSN will have a difficult time growing their display share if this trend continues. The leading social network, Facebook, has surpassed Yahoo and Google in the US in terms of traffic and those users are spending more time on the site, consuming more and more content. In particular, gamers are rabid fans, spending between 45 minutes and 90 minutes a day on social games on the platform, according to executives we speak with. So, despite being hesitant to advertise on social networks in the past, large advertisers are starting to meaningfully come to the table or miss out on reaching their target customers. Microsoft branded certain fields within the game with Bing logos. 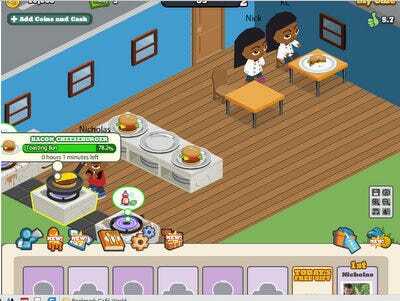 Players were given three units of Farmville virtual currency if they clicked through the ad and became fans of Bing. The campaign was priced on a cost-per-action (CPA) basis at an estimated $0.30 per fan generated. We estimate the size of the campaign to be about $150,000, a small, but not insignificant buy. Other brands like McDonalds and the movie “Wolfman” have bought similar campaigns on social games through virtual goods offers. “Wolfman” required players to watch a trailer for the movie inside the game in order to receive free currency. In addition, Sony is currently running a campaign for its new “Believe” branding message and its “Rocket” campaign for Vaio laptops.